This packet sows up to 14 feet. Introduced in 1943, Wando is a cross between 'Laxton's Progress' (an English heirloom) and 'Perfection' (a New England heirloom). It is cold tolerant for early sowing, and more heat tolerant than other pea varieties. 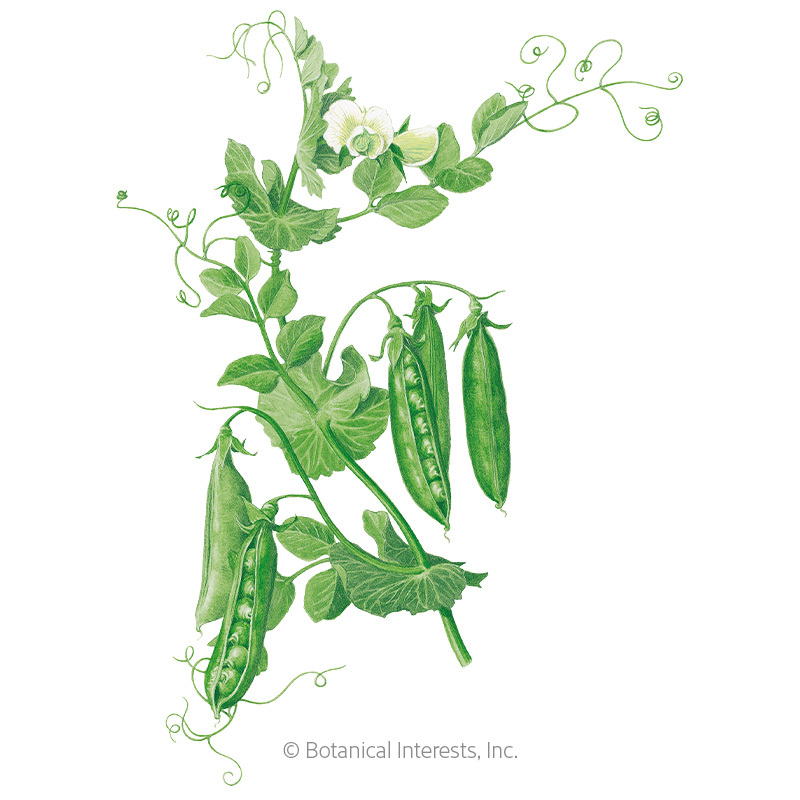 Sturdy, 24"-30" plants with 7-9 medium-sized peas in each pod. Sow in early spring and again in midsummer. In mild climates, it can even be sown in fall for winter harvest. Variety Information: Numerous 3"–3½" pods with 7–9 medium-size peas in each. Harvesting: Shelling peas should be harvested when the pods are plump, about 3 weeks after flowering. Peas that are too mature are tough and will cause the plant to stop producing; therefore, harvest regularly when pods are at their peak. Use scissors to harvest or hold vine with one hand and pick the pods with the other; vines are fragile.